Elite Link Lightning to Type-C Cable (1.2M)..
Sanitization: Kill up to 99.9%* germs for your non-washable personal items in 18-30 minutesWireless Charging: Simply put your smartphone on the top on Q.Power UV-Box, you can enjoy up to 7.5W (iOS) and 10W (Android) wireless chargingAroma Diffuser: Add a droplet of liquid fragrance, diffuse pleasant scent for your items while sanitizing..
Momax iPower Minimal 5 external battery pack 10000mAh ( Black)Capacity: 10,000mAhInput: 5V/2.1A (Type-C)Output 1: 5V/2.1A (Lightning)Output 2: 5V/2A (Type-C)Output 3: 5V/1A (USB-A)Total Output: 5V/3.1A..
A multi-function digital alarm clock that displays time, date, temperature with bright and clear LED lights.Big LCD screen shows the time, data, temperature clearly.Simply place your Qi Wireless charging compatible phone on top of the clocks and it will start charging automatically.Support 10W fast charging.Snooze for 5 minutes interval.Adjustable .. Input: 5V/ 2AOutput (USB): 5V/ 2ACapacity: 4000mAhBattery Type: Lithium Polymer..
USB QC 3.0 + Type-C PD port can charge 2 devices at the same time.Rapid charging for phone tablet and most digital products.36W output, each output port supports up to 3A current, can charge two devices at the same time.QC3.0 fast charge compatible with Huawei FCP. 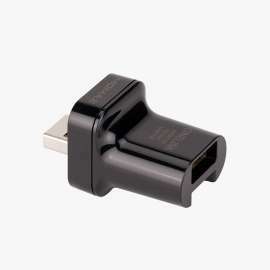 USB interface support QC3.0 and Huawei FCP fast charge protocol.Built-in PD fast cha..
Support USB Type-C PD up to 3A Output, Total 60WCompatible with PD and QC3.0 fast chargingBackward compatible with Micro USB 2.0Support Data Sync.. This automatic backup to socket is designed for iPhone, iPad and Mac users. It is quite simple to use. Just connect the prominent USB plug to the phone's charging head to form a smart base station with charging + fully automatic backup.The adapter uses a microSD card to store backup data, up to 2TB capacity, and a 90MB/s high-speed card, so even a ..
Universal Travel Adapter With 4USB Ports BlackSpecification Input: 100-240V ~50/60Hz Output 1: 5V/3A (Max.) (Type-C) 18WOutput 2: 5V/2.4A (Max.) (3 USB)..
Combines Qi wireless charger and portable 4000mAh power bank in one unit, which is creative and functional. It lets you enjoy the freedom to charge your Qi-enabled smartphones without the need to plug USB cable. 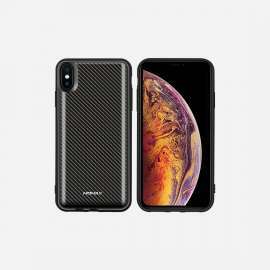 -Works as a Qi charging pad or a power bank on the go -Come with a tempered glass coated TPU case, can be used alone -5V/2A Type-C USB out..
Momax Q.Power Pack Magnetic Wireless Battery Case for iPhone XS Max - Carbon FiberCapacity: 6,000mAhInput: 5V/2A (USB Type-C)Output 1: 5V/1A (5W Wireless Charging)Output 2: 5V/2A (USB Type-C)..
Q.Power Pack Magnetic Wireless Battery Case (iPhone XS Max)﻿﻿Capacity: 6,000mAhInput: 5V/2A (USB Type-C)Output 1: 5V/1A (5W Wireless Charging)Output 2: 5V/2A (USB Type-C)..
Qi wireless charging + color changing lamp 2-in-1Easy to use5 sets of color temperature, professionally optimized color temperature does not hurt your eyes5 color modes available: warm white, red-green-blue, red light, blue light, green lightEquipped with over-temperature, over-current, over-voltage and short circuit safety protectionFast inductive..
A compact size with 6 lens of 3 sets which only need to push left or right to fit each set lens install to right place of using. It works perfectly with the dual camera system on the iPhone XS MAX. Greatly extend your optical zoom range and capture a variety of shots that you couldn't achieve with just your phone. With a focusing dis..
A compact size with 3 lens of 3 sets which only need to push left or right to fit each set lens install to right place of using. It works perfectly with the dual camera system on the iPhone XR. Greatly extend your optical zoom range and capture a variety of shots that you couldn't achieve with just your phone. With a focusing distanc..
MoMax Lightning Cable For Apple Devices 1.2M - PinkTired of splintering cables that only last for a few months? MoMax Tough link cable is the solution! This lightning cable is sturdy in 40,000+ times of bending!Features & Specifications:- Brand: MoMax- Color: Blue- Output: 2.4A- Length: 1.2m- MFI Certified - Made For iPhone iPad iPod- Char..
MoMax Lightning Cable For Apple Devices 1.2M - Blue Tired of splintering cables that only last for a few months? MoMax Tough link cable is the solution! 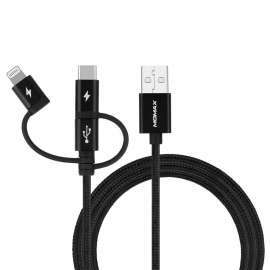 This lightning cable is sturdy in 40,000+ times of bending!Features & Specifications:- Brand: MoMax- Color: Blue- Output: 2.4A- Length: 1.2m- MFI Certified - Made For iPhone iPad iPod..
SpecificationCapacity: 10,000mAhInput 1: 5V/2A (Micro USB)Input 2: 5V/3A, 9V/2A (Type-C PD)Output 1: 5V/1A (Wireless)Output 2: 5V/3A, 9V/2A, 12V/1.5A (Qualcomm® Quick Charge™ 3.0)Output 3: 5V/3A, 9V/2A, 12V/1.5A (Type-C PD)Total Output: 18W..
SpecificationInput: 100-240V ~50/60Hz 0.8AOutput 1: 5V/3A (Max.) (Type-C)Output 2: 5V/2.4A (Max.) (4 USB)Total Output DC: 5V/5.6A, 28W (Max. )AC Max. Power: 880W@110V, 1840W@240V,Fuse Rating: 8A (Max. 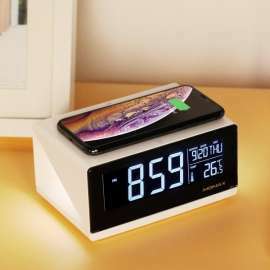 )Dimension & Weight: 78mm x 55mm, 166g..
Q.Pad Dual Wireless ChargerWireless ChargingThe wireless docking station is the perfect accessory for any Qi-standard smartphones.Product IdUD10SpecificationInput: 5V - 3A, 9V- 2AOutput 1: 5V-1A, 9V- 1A(10W Max)Output 2：5V-1A, 9V - 1A(10W Max)ColorWhiteBlackLight BlueCompatibilityQi-compatible devicesContainsUSB-A to Type-C cable (1M)Vide..
ELITE LINK LIGHTNING CABLE GLAMOROUS UPGRADE The 3rd Generation MFi-certified ELITE LINK Lightning Cable series is made with triple-braided nylon and premium metallic housing, which gives it a more stylish and chic appearance. STRONG & RELIABL..
Q. LED wireless charging lamp, 6-speed brightness, 5 color temperature 1H timed Qi wireless charging + eye-protective lamp 2-in-1 Qi wireless charging, easy to use, just put your phone on the pad 2800-6500K, 5 sets of color temperature, professionally optimized color temperature does not hurt yo.. 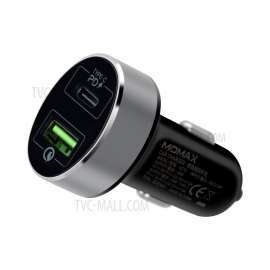 ENJOY WIRELESS CHARGING IN CAR A hands-free way to charge your Qi device wirelessly (10W max.) and in view within reach while driving. CONVENIENT ONE-HANDED CONTROL Release the clamp by simply pressing the qui..
ake your selfies to the next level with the perfect control of lighting intensity: brighten up your instagram scenes, make your selfies shine, and give your phoneography a more professional glow. 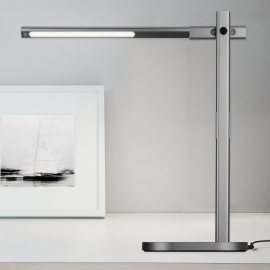 Prolonged illumination:X-Light mini is able to be used continuously for 30 to 40 minutes with the highest brightness. 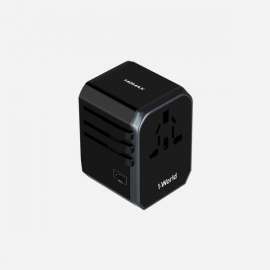 Adjustable brightness:Wide rang..
MOMAX U.Bull 3-port USB Charger This mini 3-port U.Bull is equipped with a 5V 3A Type-C output port and two 5V 2.4A USB Port, providing an endless supply of power! AutoMaxTM maximizes charging speed according to charging requirement, which provides high speed charging for electronic devices CHARGE 3 DEVICES This 3 USB ports can he..
MOMAX Wireless charging Pad Stand: Faster and safer charging with Qi Wireless inductive technology, charging your enabled device is as simple as setting it on the pad. Anti-slip rubber coating keeps the pad stable. Intelligent Features :Built-in over-voltage, undervoltage, and short-circuit protection provides ultimate safety for your sm..
[SMART & EFFORTLESS CHARGING SOLUTION] With a Minimal footprint, simply pop any Qi compatible device on Q.Pad and start charging instantly. 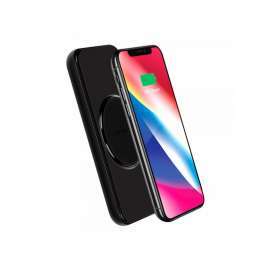 [Qi TECHNOLOGY] Compatible with iPhone X / 8 Plus / 8 and other Qi-enabled devices. Supports fast charging up to 10W. 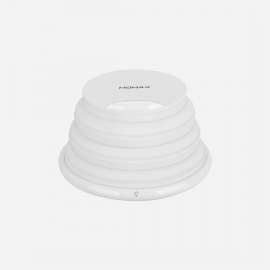 [UNCLUTTER YOUR SPACE] Hassle free of plugs and cables a..
MOMAX Wireless charging Pad: Faster and safer charging with Qi Wireless inductive technology, charging your enabled device is as simple as setting it on the pad. Anti-slip rubber coating keeps the pad stable. Intelligent Features :Built-in over-voltage, undervoltage, and short-circuit protection provides ultimate safety for your smartpho.. 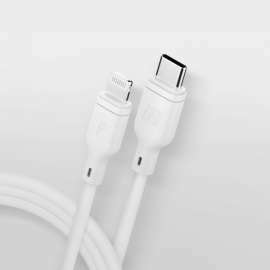 Product Description - 3-in1 multi-connector Momax cable - the ultimate solution for charging and syncing - Lightning 8pin, USB Type-C, microUSB to USB cable - Integrated Smart ID chip automatically deliver the optimal charging power for your device - High-quality aluminum alloy core and tangle-free nylon coated cable, for long term use - 3A.. Powerful extraordinary upgrade Five Devices, One outlet; The more the merrier. Ultra Powerful & Efficient Equipped with 1 USB-C port and 4 USB ports pumping out Max 40 watts of power, it allows 5 devices charging simultaneously Lightning-fast and Progressive Charging Recharge the phone from 0% to 80% in 35mins* Faster than Q.C 2.0 ..
LIGHT AND VERSATILE, SLEEK AND STREAMLINED DESIGN A handy gem to enable you to stay connected while traveling lighter and smarter. UNIVERSAL CHARGER FOR GLOBAL DESTINATIONS Equipped with plug configurations for USA/Japan, Australia/China, U.. The palm-sized fast-charging power bank to juice up your devices on-the-go. With Quick Charge 3.0, it is 4X faster than conventional charging. Equipped with 10,000mAh and two USB ports, it allows to charge 2 devices simultaneously with total 2.4A Max output and optimized power flow to each. 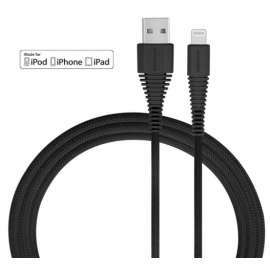 Reversible USB port design, Enable plug-in from either sid.. Lightning & USB 3.0 High Speed Data Transfer Elite Lightning Card Reader is a Lightning-based card reader specially designed for iOS devices with high speed data transfer capability – Transfer speed is up to: Read 35MB/s & Write 15MB/s. Exclusive Management APP "MOMAX Memor..
MOMAX iPower ART 9000mAh Dual USB Power Bank Battery Charger for iPhone Samsung Huawei - Akita Dog Momax iPower ART Power Bank is a amazing creation. Equipped with 9000mAh and two USB ports, it allows to charge 2 devices simultaneously with total 3.4A Max output. The highlight of this power bank is 1-Take USB port: Patented 1-take US..
MOMAX iPower ART 9000mAh Dual USB Power Bank Battery Charger for iPhone Samsung Huawei - London Elements Momax iPower ART Power Bank is a amazing creation. Equipped with 9000mAh and two USB ports, it allows to charge 2 devices simultaneously with total 3.4A Max output. 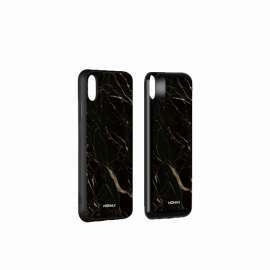 The highlight of this power bank is 1-Take USB port: Patented 1-t..
MOMAX iPower ART 9000mAh Dual USB Power Bank Battery Charger for iPhone Samsung Huawei - Obsidian Pattern Momax iPower ART Power Bank is a amazing creation. Equipped with 9000mAh and two USB ports, it allows to charge 2 devices simultaneously with total 3.4A Max output. The highlight of this power bank is 1-Take USB port: Patented 1-t..
QPOWER 2 Wireless External Battery Pack 2 IN 1 CHARGE EVERYWHERE Featuring both wired and Qi wireless charging, QPower 2 is always ready to juice up your devices on the go. HIGH CAPA..